Below is detailed list of searchable databases available for use at the library or from home. Premier Reference and Marketing Databases including 30 million business profiles & 220 million residents. Ideal for sales leads, mailing lists, market research, employment opportunities, finding friends and relatives, and much more! Online travel guides for 202 world cities accessible anywhere and reports customizable to your needs. Palos Heights Public Library patrons will need to put in your bar code number starting with 21965. This resource provides full-text scholarly content for major college courses. Designed specifically for academic institutions, this database provides full-text and peer-reviewed journals essential for undergraduate and graduate studies. More than one and a half billion names in over 4,000 databases. It includes records from the United States Census; military records; court, land and probate records; vital and church records; directories; passenger lists; and more. This can only be accessed in the library. This database contains do-it-yourself repair and maintenance information on most major manufacturers of domestic and imported vehicles. New repair procedures, TSBs and updates are added to the product on a regular basis. All of the content has been created by ASE certified technicians. 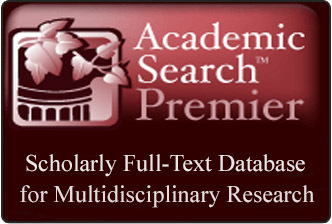 Containing many of the top-ranked biographical reference collections and magazines, this database offers a comprehensive collection of full-text biographies, as well as thousands of unique narrative biographies. This resource provides superior coverage for several of the most popular and heavily-researched biographies and genres, including those contained within Biography Today and Biography (both dating back to the first issue published). In addition to keyword searching, users can locate biographies of interest by browsing key categories, including occupation, nationality, publication, and more than 30 genre categories, including actors, artists, authors, current world leaders, explorers, religious leaders and many more. BrainHQ is an online suite of 27 exercises with 840+ levels of training organized around the 6 core cognitive areas of Attention, Brain Speed, Memory, People Skills, Intelligence and Navigation. Exercises are delivered in short 2 minute or less segments, adapting speed and delivery to your performance. A private, personal dashboard visualizes your performance and provides feedback and suggestions on areas of focus. The largest paid-publication subscription-based website in the world, this resource enables consumers to make better purchasing decisions on the products they are shopping for. Whether a user is looking to find the best deal on an LCD TV, or researching the top-recommended used vehicles, ConsumerReports.org provides ratings and reviews, recommendations and buying advice for thousands of products and services. A database that provides great information about countries throughout the world from what they eat and wear to climate and government. It is especially useful for students and travelers. Free DMV Pratice Tests. 10 car practice tests, 6 motorcycle practice tests, 1 CDL (Commercial Driver's License) practice test, 2 online driver's manual (car and motorcycle) and an FAQ section with detailed answers to 100+ DMV-related questions. Find a Book is a free online book search tool that allows children and their parents to quickly and easily select books that will match a child’s reading level and interests and find their selections at their local library. Families are also encouraged to participate in the Illinois Library Association’s iRead Summer Reading Program. This year’s iRead theme is “Reading by Design.” Learn more at https://www.ireadprogram.org . A genealogy database that enables you to search over 25,000 local history books, the U.S. Federal Census from 1790-1930, PERSI, and the Revolutionary War Pension and Bounty Land Warrant Application Files. When accessing Heritage Quest from home, you will be asked to type in the barcode from your library card to confirm you are a Palos Heights Public Library patron. Designed for secondary schools, public libraries, junior/community colleges and undergraduate research, this database features full text for more than 1,990 reference books, encyclopedias and non-fiction books from leading history publishers. Through a collection of comprehensive full-text content, this database provides users with detailed, user-friendly “how-to” information covering all manner of home improvement/repair projects. Home Improvement Reference Center features full-text content from leading home improvement magazines images not found anywhere else online, and videos of popular home repair projects. All of the content is organized in a powerful, easy-to-use manner so that users can quickly gain the information they need. Connects users to Live Homework HelpR, an online tutoring service that links students in grades K-12, those in introductory-level college courses, and adult learners to expert tutors (at no charge) in math, science, social studies, and English via the Internet. This service is available seven days a week, from 2pm to 9pm. Login by using your Palos Heights Library card number. An online catalog that includes the resources of 65 Illinois libraries belonging to CARLI, the Consortium of Academic & Research Libraries in Illinois. Materials found on I-Share can be interlibrary loaned by contacting the library. Each Learning Center offers practice test, exercises, skill building courses and information you need to achieve the results you want - at school, at work, or in life. You can also find an entire Learning Center dedicated to helping you get the one that's right for you. *Please note: URL has changed and you must re-register to use this source. Lynda.com is a premier online learning resource offering more than 4,000 courses covering technical skills, creative techniques, business strategies, and more. Mango Languages’ PhD-created and linguist-approved software teaches real conversations in over 60 languages and makes it fun; no snoozefests here. And with free mobile apps, learning through film, and the coolest promotional materials around, it's no wonder Mango is the most popular language-learning resource in public libraries. Little Pim is the same amazing resource, but for kids! Provides investment research, including stock and fund analysis, reports, and tools, as well as company, investing and financial news. Contains searchable copies of The Regional dating from 1941 through June of 2012. A comprehensive research database that provides easy access to a multitude of full-text, science-oriented content. Science Reference Center contains full text for hundreds of science encyclopedias, reference books, periodicals and other sources. Topics covered include biology, chemistry, earth and space science, environmental science, health and medicine, history of science, life science, physics, science and society, science as inquiry, scientists, technology and wildlife. TBC is a collection of videos and chapter books in categories which include: Ebooks (Shakespeare, poetry, non-fiction, science, history, geography, etc. ), Read-Alongs, Graphic Novels, Videos (from National Geographic! ), and Audio Books. Our books feature adjustable text sizes, full narration, and a read-along function which highlights text as it is read. As a subscriber, you have access to lesson plans, quizzes and our Common Core Portal! These features make TBC a great tool for reluctant readers and ESL students. Plus, all these options can be switched to manual so readers can read at their own pace. If you aren't automatically logged in, the username is: palosheights and the password is: login. TumbleBook Library is a collection of TumbleBooks (animated, talking picture books). TumbleBooks are created from existing picture books which we have licensed from children's book publishers and converted to the TumbleBook format. [user name: palosheights password: libra. A comprehensive service offering access to continuing education courses covering a broad range of topics from accounting, and computer classes to reiki and gardening. Classes are self-paced and instructor-led with certified instructors available to answer questions and assess your performance. You have 24/7 access to courses by logging on through the library’s website with your library card barcode. Value Line is the most trusted and prestigious name in the investment field. For more than seventy-five years Value Line has been synonymous with trust, reliability, objectivity, independence, accurate information and proven performance for investors. This database includes both the World Book Encyclopedia and Research Libraries. Many documents are primary source (e.g. eyewitness accounts speeches, Supreme Court rulings, treaties.) Downloadable versions of classic books are also available through this source.